Death Watch Captain. 28 mm scale plastic Warhammer 40K Space Marine miniature manufactured by Games Workshop. 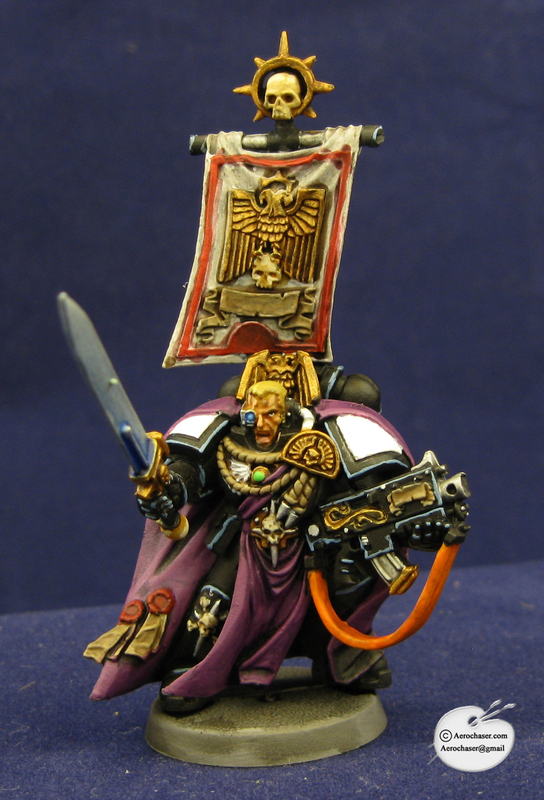 This is just a sample photo of a Death Watch army that I painted. More Deathwatch photos can be found in the Warhammer 40K photo gallery.